"This is Ana. 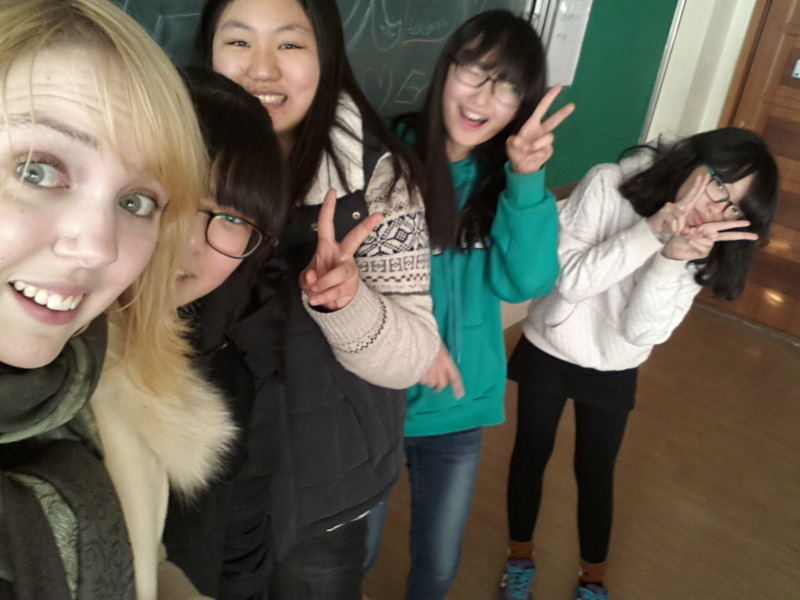 She is my teacher. Her favorite food is kimchi stew. She is kind. She is majestic." I like to think that sums me up pretty well, though, as they say in English Departments around the world, let's unpack that quote a little. "This is Ana." Simple. Straightforward. 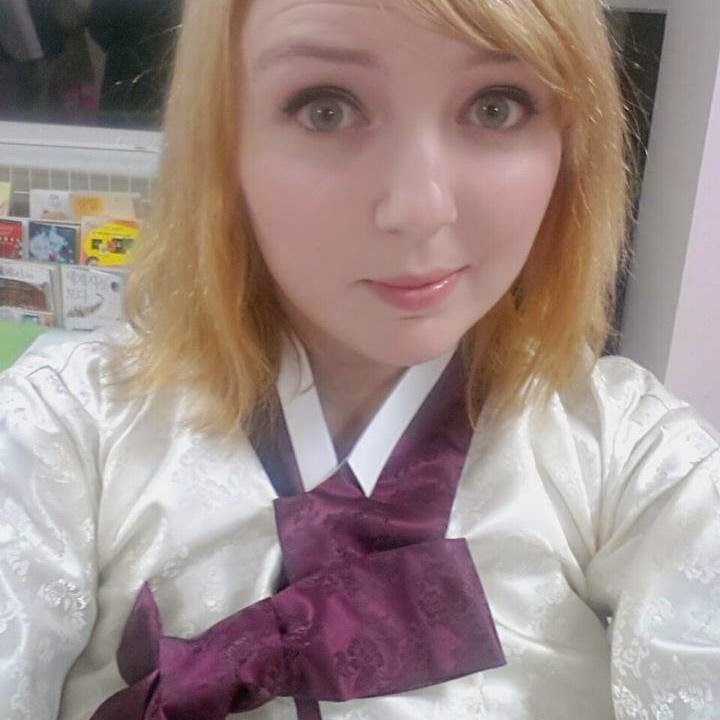 My full name is Andrea Dennison, but when I moved to Korea in September of 2014, I realized pretty quick that that was not going to serve me well. Hence, Ana. Easy to say, and easy to write in hangul. Everyone wins. ﻿﻿students aren't human, or animal--they're another species altogether. I'm begin to believe that she's right. Wild middle school students in their natural habitat. "Her favorite food is kimchi stew." I think this one speaks for itself. "She is kind." I like to think this is the case, but as I lose patience with noisy classes more and more, I'm beginning to feel less kind and more like a volcano. All that time in choir really pays off when you need to project angry words over the wall of sound that is an out of control English class. She is majestic." At this point he was just showing off; I'm positive that he and I were the only two people in the class who knew the word. But it's good to have goals, right? I would love to be majestic. Like a dragon. Or Judy Dench. 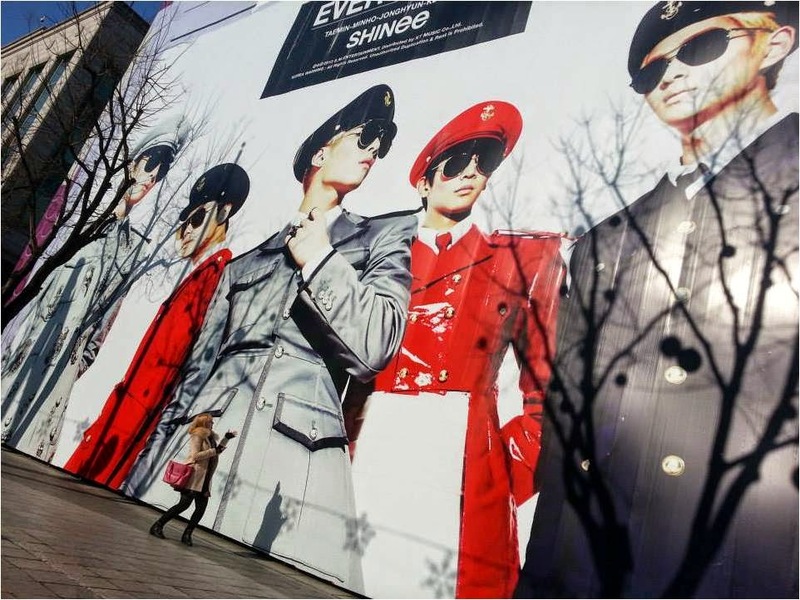 Or a three-story billboard of SHINee. Does standing in front of something majestic count? So, that's me, and this is my blog. From funny to informative, I try to have it all. I'm always happy to answer questions, so if there's something you've been wondering about, as long as it's not horribly personal, leave a note in the comments and I'll do my best to help you out!